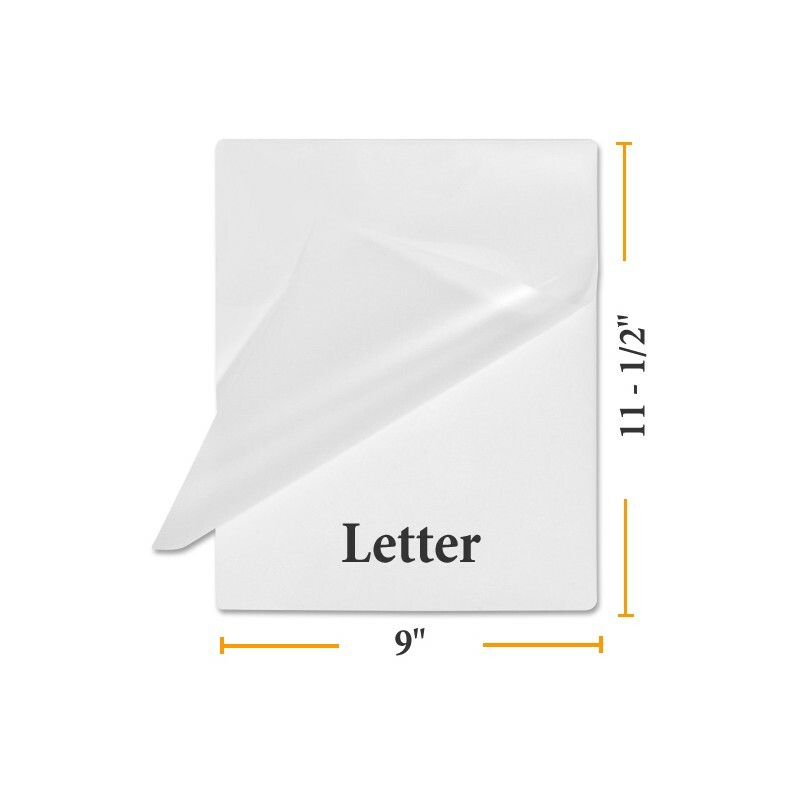 Letter Laminating Pouches 9" x 11.5" | Buy Lamination LOW PRICES. Clear Gloss Laminating Sleeves (two sheets connected on one edge). COMPARE PRICES & SAVE WHEN YOU SHOP BUYLAMINATION! This size of pouches at staples is $54.99! That's twice as much as our 5 mil Letter Pouches. Our customers are always happy with the savings and thrilled to find superior quality AND saving money. 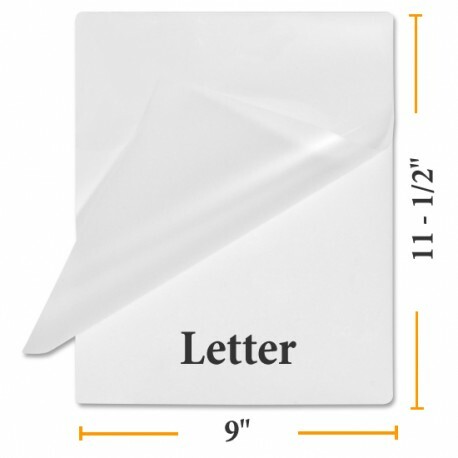 The letter size laminating pouches safely laminates documents 8 1/2" x 11" with a 1/4" sealing edge on all 4 sides. 5 Mil laminating pouches are economical yet more sturdy than the 3 Mil pouches. Not sure which is right for you? Request a free sample! Pouch Measures 9" by 11 1/2"
Our Clear Gloss Letter Laminating Pouches are sealed on one edge to create a paper laminating pocket to be used in thermal laminating machines. Our pouches are comparable to GBC, Scotch, IBICO, 3M and other brands found at major office supply retailers like Staples and Office Max. For use in most Hot Pouch Laminator Machines such as the PhotoPro 13" Pouch Laminator. Check your laminator instuctions for maximum pouch width and thickness. Protect important documents from UV rays, folding, spills and general damage with heat seal lamination pouches. These easy to use, letter size heat activated lamination pouches offer a cost effective way to protect your letter size documents of all types. Compare Our Cheap Prices on Laminating Supplies! We beat all office supply stores such as Office Depot, Staples and Office Max by a long shot! You will also find us the most competitive pricing for pouches online! Find a better price? Let us know, we gladly price match. Our excellent customer service and same day shipping will make you happy you switched to Buy Lamination!